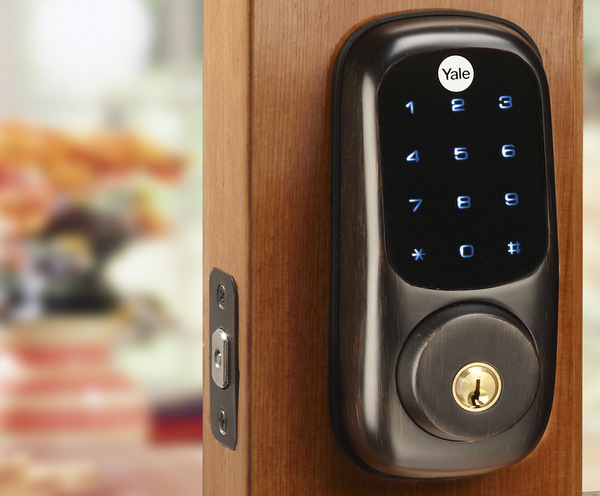 Yale Locks and Hardware was on hand at CES to talk about their new series of Real Living Locks. They are available as deadbolts or lever locks, and use Z-Wave or ZigBee technology. Now this is nothing new to me, as I have been using a Schlage LiNK system for several years now. What did impress me quite a bit is that these locks are available with a standard keypad, or a new sleek capacitive touchscreen. They also incorporate a motorized deadbolt, so you can remotely lock or unlock you door. Now just the touchscreen and the motorized deadbolt were impressing me, but what really peaked my interested was how Yale has built in NFC technology into each lock. What does this mean for BlackBerry users? It means that soon you will be able to take advantage of your NFC capable BlackBerry device and be able to use it to unlock your front door just by holding it near the lock. Now that is cool! Yale is still working on a few details before releasing the NFC capable lock, but we should be seeing it this year.